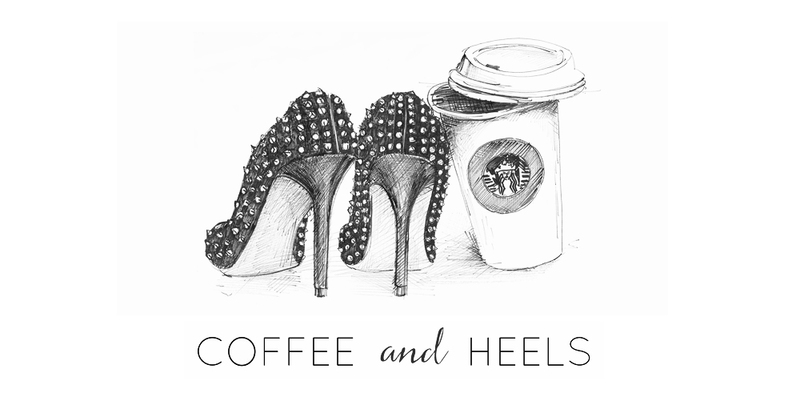 Coffee and Heels: Do What YOU Love. And Screw the Rest. I've had it up to here with people trying to market a tricky, exhausting and sometimes soul-crushing lifestyle such as freelancing as The Dream. As I've already told you here, the problem with this "go for your dreams" hoopla is that it's simply NOT TRUE, and it makes me angry that self-help book people are making bucketloads of cash by a) encouraging absolutely everyone to "be your own boss NOW!" even if that's not right for you and b) making people that have worked hard to find and keep a job feel inadequate and conformist. While we're on the subject of Pinterest quotes, the all-time most vomit-inducing one I've ever come across is the sickly "Build your own dreams, or someone else will hire you to build theirs". 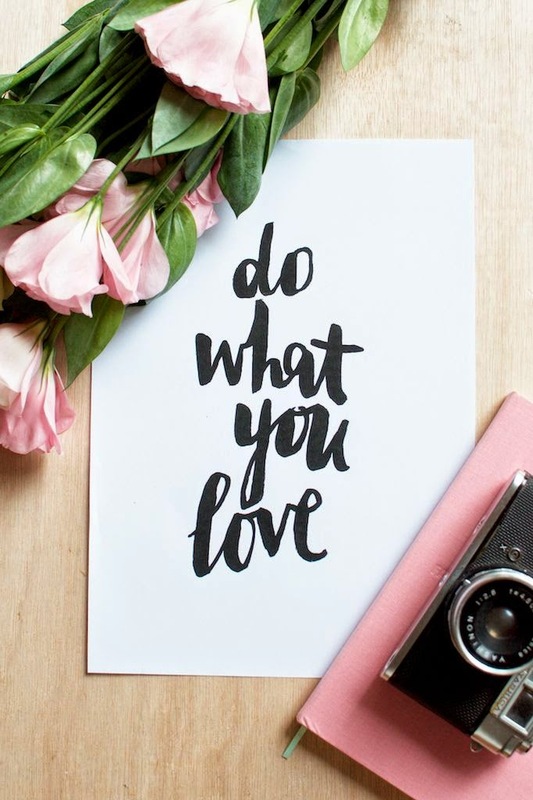 Whenever I see these limiting and discriminating words in a cool font on a cute background, I'm always tempted to write a comment along the lines of, "build your own idea of what you want your life to be, or someone else will drill theirs into your head on a Pinterest board." I hate the way this stupid quote and others like it are designed to make employed people feel like they're "selling their soul". Guess what - you can have a perfectly rewarding, satisfying and fulfilling career as an employee. Just as well as you can be a depressed, oppressed and unhappy freelancer. It all comes down to what kind of person you are and what it is that you work with. And whether that makes you happy. Since I've changed lifestyles and gone back to full-time employment (without giving up my freelancing, although obviously I've cut back on it), I've seen quite a few changes to my everyday life. There's the pain of having to wake up at 6 or 6.30 (depending on if I'm washing my hair or not) - this leaves me crippled with tiredness and DOES NOT get easier after three months. If I wasn't eating a healthy vegan diet and doing yoga four to five times a week, I'd be asleep in a corner on the Tube at this very moment. But there's also the fact that I now have coworkers to bounce ideas with, a team to develop projects with and on average one boozy night out a week with supremely fun people. I also work in the nicest office I've ever seen (on-site staff shop, coffee bar, colourful sofas in the canteen and a meeting room with vibrant polka dotted tables and chairs...and we're in the middle of a huge park with a lake with swans...and TWO Starbucks!) with regular bake sales, fresh juice tasting and did I mention the boozy nights out? The other day we unveiled the design of the new meeting room (pretty much the coolest room I've ever been in in my life) and we got cocktails. Yesterday we had a summer theme presentation, and we got ice lollies and fruity drinks. Beats sitting at home alone in my old coffee-stained pajamas, if you ask me. Doesn't matter, the nautical-Pinterest-sailor-quote brigade chimes. You still gave up your freedom and joined the corporate zombies. Oh, right. So what is it exactly that I did all day as a freelancer that was such a stand-taking sign of my "freedom"? I sat on my behind and wrote, mostly e-commerce copy and lifestyle articles, hardly world-changing stuff. And what is it that I do all day now? I sit on my behind and write, mostly e-commerce copy and lifestyle articles, hardly world-changing stuff. If the "freedom fighter" part of freelancing was running my own business, well, I have my own online magazine now. And if it was choosing what to write, well, I didn't then and I don't now. Much as I did when I was freelance, I still have rent and bills. Most freelancers do and pretty much none of them choose what to write, design, photograph or whatever your freelance activity is. You do what the client asks and you do it well, no questions. 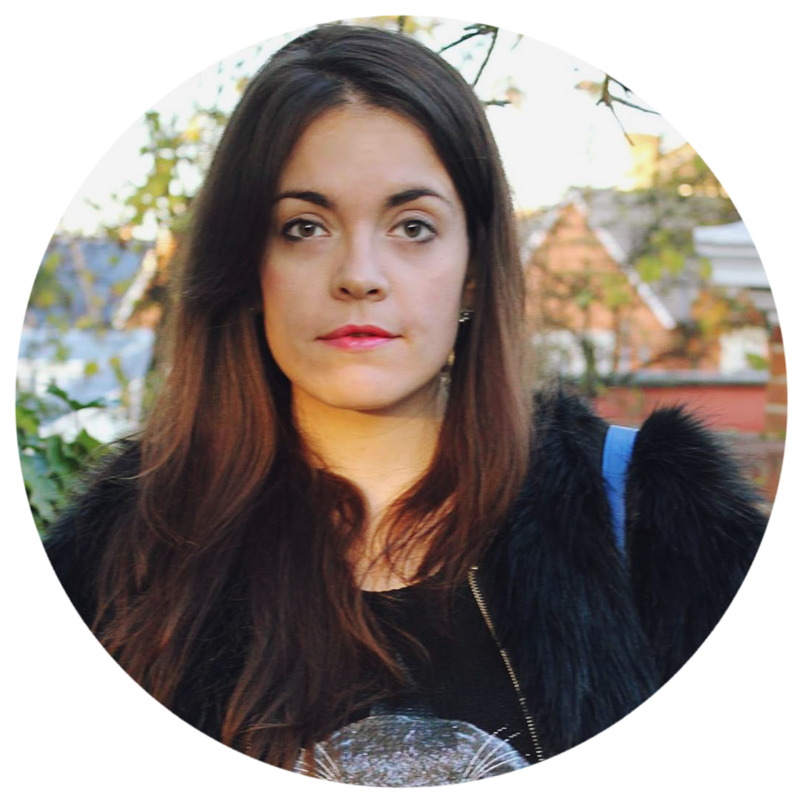 Being a freelance writer isn't an existence where you're paid for your personal musings and opinions, neither is being an employed writer - that's why we have blogs. I've always seen myself as someone who goes for my dreams - and at a given moment, my dream was freelancing, so that's what I did. Later, my dreams changed and I wanted to go back to full-time employment. And now I'm here. Still chasing my dreams. That doesn't change just because I now have a desk, no matter what the Pinterest people will have you believe. The danger with looking down on some jobs and continuously re-telling the same "I was miserable, then I quit my job and started my own cake-sprinkle-making business" stories is that people that were perfectly content until they saw that very message start doubting and questioning themselves, thinking, "in a world where I could be a children's book writer-slash-skydiver who lives on a boat and has green hair, is it so wrong that I'm actually quite happy with my office job?" It makes me wonder why we never see the "I was freelance and miserable - then I got a job and now I love my life" stories? And they do exist, I assure you. The communication around this is very one-sided and sends out the message that being a nine-to-fiver and making your dreams come true are somehow mutually exclusive, which is as far from the truth as I can possibly imagine. It's the same with people that move to a beachy, tropical place: sure, I'm jealous...for five minutes. Then I remember that I've been there, done that (five six-month summer seasons in a Tuscan beach resort) and given it up to live in the city of my dreams, that I will never stop loving, no matter how rainy it gets. Life isn't easier or less stressful in a beach town than a big city. It's still all about work/life balance, paying bills, finding love - the same issues we all struggle with on a daily basis. The only thing that changes is the weather and frankly, climate isn't a deal-breaking factor for me. Fulfillment and satisfaction are, and right now I'm finding them in an office job in London. As are many people, and we're not the "corporate zombie brigade", thank you very much. We're the ones that fought our way through the hellish job market - and won. I don't like the "obvious" implication that we have to be jealous of certain lifestyles. I love my office and I love my team, and I'm much happier now than I was when I was worrying about bills and crying of loneliness (not that I'm a Falabella-toting millionairess just yet, but money is just less of an issue when you're employed, as I've discovered talking to other former freelancers that now happily work on my team - most of them named money as a key factor in their decision to leave the freelance life behind). But that's because it's this job. Many other office jobs would have left me desperately uninspired. And I'm also very much "building my dream" through Vilda and my freelance writing. 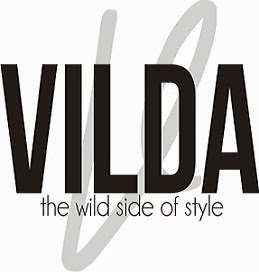 Do I hope that Vilda will one day be my full-time job? I'm not sure. I quite like being on a team and don't know if I'd trade it in for "being my own boss" even with the same paycheck - but at the same time, Vilda is my passion. But that's the thing about freedom - it's about choice. It's about individuality. It's about being yourself instead of chasing some idealised pseudo-reality on a pink Pinterest quote. Live your life in a way that makes you happy and that gives something to the world, no matter what everyone and their grandma thinks you should be doing. Your life is yours, and yours alone. "build your own idea of what you want your life to be, or someone else will drill theirs into your head on a Pinterest board." Fantastico! Yes! This! YES! I completely agree with you! Being happy or successful doesn't need to have anything to do with being your own boss. Being your own boss might be great, but being able to pay rent is pretty nice as well!